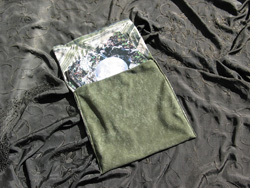 The Earth Deck can be purchased with a reversible carrying pouch. The earth-tone carrying pouch is reversible. Made with 100% cotton assorted earthy prints.